What is a Vet Tech? Welcome to the Missouri Veterinary Technician Association! 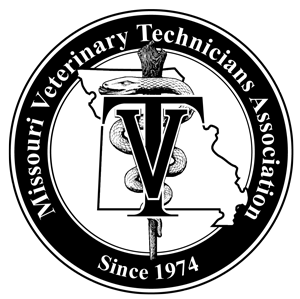 The Missouri Veterinary Technicians Association was established in 1974. Since that time, the organization has been the leading voice representing Missouri registered veterinary technicians and support staff working in private practice, research, academia and government throughout the state of Missouri. There are over 650 actively Registered Veterinary Technicians in the state of Missouri. The mission of the MVTA is to represent, promote and advance the field of veterinary technology through education, legislation and by providing superior animal care.